There are reports of a primary school principal awaiting a court appearance for eliminating international students from the count of students at his school thus concealing income. A secondary school reports to me that “they are going to have cash flow problems later” because of the collapse of the Korean market. At the tertiary level there is a steady growth in numbers of international students at the postgraduate level but a decline in enrolments at other levels. 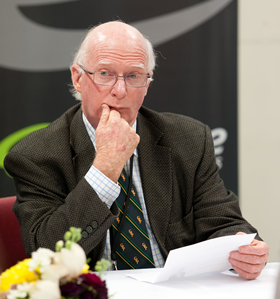 The question must be asked – has international education as New Zealand has interpreted it reached the end of its product cycle? Do we need now to focus on a different product? The focus on undergraduate and foundation level programmes might now have to be adjusted to focus much more clearly on postgraduate levels. And has New Zealand a clear view of international education that goes beyond mere budget fodder? There is some agreement that Australia has trumped New Zealand in marketing but now struggles in maintaining a reputation for being a safe destination. New Zealand has struggled with over-all enrolments since the peak in 2003-2004 simply because it rates below the US, UK and Australia as an overseas study destination. It could be that the pattern with students from China is a sign of a pattern that will follow across other countries. That decline has seen a dramatic decrease of 53% since peak in 2003 / 2004 of visa approval for Chinese students. Were some of this not to be compensated for by an increase in numbers from the Middle East the decline would be much more apparent and more serious in its impact. (There has been a tenfold increase in student visa and permit approvals for Saudi Arabian students, rising from 381 in 2005/06 to 3,162 in 2008/09.) Add to this the continuing strength and growth of students from India and the question is asked – are we seeing a pattern of growth / decline such as that experienced with China which might well be replicated in the future? New Zealand has always had a one-way attitude towards international education. Teams of marketers would travel the world harvesting crops of students who would arrive with their bags of cash and budgets would be greatly swelled to the unashamed pleasure of administrators. But where was the traffic the other way? New Zealand has had a poor reputation for sending its young people off to other systems in the way that the United States has. Apart from the very trivial gap year stuff, New Zealanders have always seen OE as belonging to a pre-qualification or post-qualification experience much more than a means of experience study and learning and growth in this way. It was only occasionally associated with education and career development. Perhaps that is changing a little now and that is a good thing. In the 1950s and 1960s the Colombo Plan was a programme for bringing young students to New Zealand from South East Asia to advance their qualifications. This was at a cost to New Zealand and not based on income generation. It had a focus on high level qualifications and many of those who went through the programme went on to have distinguished careers back in their home countries. It was a pleasure for me to go up to the Regional English Language Centre in Singapore in the 1980s to enjoy wonderful hospitality and professional exchanges with leading academics and administrators at that centre who had been through the programme. The legacies of that programme were a respect for and love of New Zealand that could not be bought by marketing or diplomacy or by charging them huge amounts for the privilege. Such programmes are the real investments. Rotary was involved in a feature of that programme which was the tour of New Zealand being hosted by various clubs along the way. One Singaporean colleague insisted on telling me each time I saw him of his stay in Otahuhu at the house of Dr and Mrs Lange and enjoying the company of their young son David. A new feature of the international education landscape is a developing change in the attitude of the United States. Of course they have always had quite a robust level of international activity both ways. But as budget pressures bite in, it is anticipated that the cheaper US dollar, the wide supply of on-campus student accommodation and their new revised and faster visa application processes will see them improving their position further. They seem likely to increase their market share which already runs at 20% of the global international education activity. We need to rethink the strategy and the fit for international education in New Zealand. This would present an opportunity for us to reflect on the relationship between that activity and the growing international communities in New Zealand. In some institutions, there will come a time (is it already here?) when domestic student communities will resemble international intakes. This is exactly what living in a global world means. We are the richer for it – perhaps not in our budgets but certainly in our heads and hearts. Our current education sectors no longer make sense! There are too many, their reasons for existing no longer make sense and the relationships between them are remarkable for their lack of connection rather than coherence. Worse, they have resulted in disengagement and failure for those who struggle and unnecessary delayed progress for those who succeed. The growth of the structure of our education system is largely the story of accidental growth and arbitrary decisions. As I said a couple of weeks ago, it is time for us to step back and look at the structure of our system. The bedding in of the sectors as we know them – Early Childhood, Primary, Secondary and Tertiary reflects the development of education in communities such as ours rather than a planned structure based on the needs of people or perhaps even on the needs of those communities. For instance, in the late 17th century entrance to universities, including Harvard, was based on the possession of requisite knowledge (and often cash!) rather than on specific age or completion of a specified number of years of schooling. Indeed the universities would often compete for the best students with the secondary or post-primary school which then existed. Secondary education was pretty well non-existent outside the grammar schools and academies that prepared some students for university. We launched our commitment to universal education sector by sector. First, universal primary education was the goal. That this became the goal as recently as the late 19th century shows us how quickly this has all happened. By the 1920s – 1930s a couple of years of post-primary school were available to those who had gained proficiency in Standard 6. Up until the late 1970s, only about 12.5% of any third form intake stayed at secondary school for five years. Then in the 1980s the ripping out from the education system of opportunities for early school leavers saw that percentage increase to 65% where it has stayed ever since. The reasons for this were as much outside the education system as within it. The governments of the day destroyed the apprenticeship scheme in their determination to get out of the economy, night classes became recreational rather than vocational and technical, polytechnics took training into the daylight producing a damaging clash with daytime employment, technology changed the face of occupations such as office work, the entry level to some occupations (such as teaching, nursing, business etc) was ramped up for little apparent reason. Low-skilled or unskilled employment was both taken out of the options by changes in manufacturing and suchlike and by becoming something that was below our aspirations. The value of being in work had become replaced by the value of what job you had. By the end of the 1980s, one hundred years after we started our quest towards universal education we had instead produced universal compulsory primary and secondary education and the phenomenon of disengagement. We still struggle with universal Early Childhood Education despite the soft OECD targets. Then universal tertiary education became the goal and here we are now with students all over the place literally. We now have four major education sectors which are apparently so different that they are pursued on different sites, by different groups of people who are required to have different qualifications, prepared for their work in different ways, belong to different professional bodies, represented by different unions and have little to do with each other. Meanwhile it is the young students and their parents who are left to struggle with this unnecessary complexity. It is time for this to change! First, reduce the number of education sectors to two. Secondly, be serious about the professionalisation of the education industry. The School Sector would cover what is now called Early Childhood Education, Primary School, Intermediate School and Secondary School up to the end of Year 10. This sector would be totally integrated, operate to one integrated curriculum and to clear milestone standards starting at Year K2 and finishing at Year 10. (The year numbering system could be K2,K1, Y1,Y2……..Y9,Y10 and encompasses Age 3 to Age 14/15). Use would be made of existing school premises but clearly this approach could see integration of what are currently separate schools and could lead to new governance arrangements over local areas. The Post-School Sector would include everything that currently follows Year 10. Many students, perhaps a majority of students could well be in a “High School” that offers Year 11-13 programmes for students proceeding down academic pathways to university / polytechnic degree programmes. Others could be in the polytechnic sector getting on with a technical / vocational qualification. Specialist “High Schools” might emerge that cater for sporting excellence or for music and artistic excellence. PTEs would be active in offering pathways towards a range of options and in tightly specialist areas. There might even be a space for the development of a New Zealand version of the US community college. Students would have to remain in the School / Post-School sector until age 19 or until they were qualified and in permanent employment. This proposal would greatly simplify attempts to provide more meaningful and effective pathways for students in the current senior secondary school and would simplify the policy development and implementation required to meet the flexibility required these days. Above all, with its critical switch from the school sector into the post-school sector would be at a point in young peoples development where they could be captured for a future with purpose rather than the inevitable disengagement that awaits them currently. Hand in hand with this new approach would be the professionalisation of the education Industry. There are two main thrusts here – integrating all parts into single entities and passing much more control over to the profession. So, one professional organisation that has control over entry into the profession, standards of conduct and codes of ethics matched by one industrial organisation that would represent all the different part of the sector. The profession would also have additional markers such as an Education Commission (in the style of the Law Commission) to provide advice to the government. Now there are a lot of ideas to be teased out here. But let’s start the discussion. How long might such a comprehensive change take? Ten years perhaps. Never if we don’t start. It is often said that the devil is in the detail. As the detail of the Government’s approach to money and education is looking more and more to have, if not yet the work of the devil, at least the beginnings of some heat. This might be the shorts that precede the main film – The Budget. First Minister Joyce gives us detail of his trio of measures. We had been warned about the link to be made between student performance and funding. It must be said that this approach seems very tentative and relatively minor and whenever the minister speaks about it he seems to have a good grasp that this could be a move that, whatever is done, has a downside that could challenge any benefits. The second part of the trio is to look at student access to loans when it is not matched by good performance. Little information is ever presented to support the statement that some students are rorting the system, that others become study-ghosts, that many are simply adding to their personally sound financial background. What is the truth? How big is the problem? That is what should guide the scale of the response. Finally there is the determination to review the number of qualifications in New Zealand and this deserves three rousing cheers. The messy current situation, over 6,000 certificates, diplomas and degrees, was driven by institutional hubris and the heady days (should that be daze?) when every provider thought that they alone could see a point of difference. The ITO structure was designed in part to maintain a watching brief over this and to maintain a credible and coherent portfolio in each area. They didn’t achieve this (not entirely their fault I must say) and it now takes intervention at the level of a Government-inspired review to herd the qualification seagulls. And it must be comprehensive. The answer is to have a national system of qualifications. Let’s get back to the days when there were well-understood qualifications such as the NZ Certificate of Engineering and another one for science and so on. Why so many B.Bus. degrees for instance? Stand by for arguments to be put forward explaining that the XYZ School of Business has discovered some essential elements that no-one else has stumbled across, or that they teach in a very special way known only to them. That could be so but why not share all this, get the imprimatur of the professional bodies and have it taught by all providers? It is unfair to pick on Business because this argument could apply to a whole host of subjects and disciplines. Then we had the compulsory knee-jerk about the announcement that the Ministry of Education had to identify savings of $25m over three years. I suspect that the MOE is only about as bureaucratic as most education providers therefore the savings will have to make cuts into activity that might on the surface seem worthwhile. That’s what happens when faced with this kind of task. But the scale of it needs to be kept in proportion. Making a cut of $25m over three years will require the Ministry of Education to save 1.8 cents in every $100 that it spends. In truth each and every organisation and institution and provider in education could achieve this. Some have criticized the planned moves from the government as ignoring that quite obvious fact that education is an investment not a cost. Forget talk of investment and concentrate on cost. The cost of educational failure is huge compared with the cost of success. So spending what money we have should be focused on success. Funding failure is investing only in additional cost. Interestingly there might not be a link between the dollars committed to education and the outcomes. In the United States of America, public expenditure on education increased by 400% during the period 1970 to 2000 while both Reading and Mathematics scores decreased by 25% during the same period. We usually solve this issue by dismissing the reading and maths tests! We would do well to look at all expenditure in institutions and provider organisations – it could be that we are doing the wrong things from time to time and the “new” money we need will come from old money that is not being used productively. We will probably learn soon that greater accountability will become the overt theme – focusing on levels of failure, and students who fund their failure through public loans and the costs of a ridiculously repetitive qualifications portfolio are all first signs. Last week the Australian Deputy Prime Minister / Education Minister announced that shortly they would introduce the My University web site that will be a mechanism for comparisons between those institutions in Australia. This follows hard on the heels of My Schools which does the same thing for the school sector. The big five systems seem to me to be entering the first stages in understanding the extent to which the educations systems of Australia, UK, USA, NZ and Canada are not serving an increasing group of young people. Blame and accountability might be the first stages of a much greater scrutiny to be applied to what we do. Perhaps there is developing a desire to get a response to the issue that puzzles so many – who is responsible for educational failure? Getting an answer might be easier than responding to it! I don’t mean to hector about sector, but …..
Let’s get to grips with the issues of student disengagement and the role of sectors in it. The issue of student disengagement is not one of teacher competence. As in all lines of work there are teachers who could be performing better for one reason or another. And there will be a group of teachers who are competent, but after having taught for too long without refreshment are simply doing the wrong thing. Another group of teachers with less experience will not have responded to pre-service teacher education in its present one-size-fits-all configuration and need a different, perhaps longer, perhaps more “pupil teacher” approach. Yes, there are things to address in this area but in themselves they are not the root cause of disengagement. The issue of student disengagement is not located solely in the student. Students bring with them to school a wide variety of challenges for schools but it is not outside the wit and wisdom of teachers to work on the features that are less likely to lead to progress. Issues such as transience, language background, poor living conditions, health issues, truancy, appropriate curriculum and so on, to varying degrees, make the job of teaching challenging but they do not in themselves make it impossible. Access to quality early childhood education is a huge help to teachers in schools – that’s another issue. Each of these issues could be systematically addressed and picked off in the order that they impact on student progress but that would not see disengagement disappear. The issue of student disengagement is not generated by curriculum issues. We could keep on reviewing and revising the curriculum till every educational cow has come home and it wouldn’t be the silver bullet we search for. Yes, the curriculum is too crowded. Yes, it doesn’t ensure that basis skills are taught. Yes, we lack clear statements about what students should know at certain critical points. But we have had major curriculum revisions in the 1940’s with the Thomas Report, after the Currie Commission in the early 1960’s, during the Educational Development Conference of the 1970’s, there was Merv Wellington’s effort in the 1980’s and Lockwood Smith’s multiple reviews of the 1990’s and the latest round has just been completed. Despite this diligent re-arrangement, the indicators keep going south. This regular cleaning up of the curriculum seems, like suburban inorganic rubbish collections, to not be able to get on top of the issue once and for all. Having looked at the issue of student disengagement seriously for quite a while I have come to believe that the issue is systemic and structural. Or put more bluntly, we have persisted with the kind of education system we have to the point where we must acknowledge that it is no longer entirely fit for purpose. Great Britain, the United States of America, Australia and Canada are all faced with the same issue. I do not intend to repeat here the catalogue of evidence that we now have that leads to the conclusion that disengagement, dropping out of education systems, is now the number one issue of English-speaking education systems – but just one little statistic. In the United States of America it is estimated that one student drops out of school every twelve seconds. If this is right this means that while you have been reading this column, the US has lost 1,500 students from its system. Add to that what is happening in Australia, Canada, Great Britain and here in New Zealand. We might have the best education system in the world – and that is the boast we often make – but what does that mean in light of disengagement? Simply that we have the best education system in the world for some students. Our current structure is, in my view, dysfunctional. The arrangement of education in a set of sectors is designed to meet the needs of the adults in the education system rather than the students it is meant to serve. Our system is, in short, a parade of disconnected sub-professions which serve different sets of students organised only on the basis of the number of birthdays they have had. The decision to shift young people out of one sub-profession onto the next is determined solely on the basis of the fifth birthday, followed by critical Christmas holidays at the end of Year 6 possibly and certainly at the end of Year 8 and Year 13. Well, the Year 13 Christmas holiday is critical to only some of our students. A small number have made the decision to shift earlier and a greater number has simply dropped out. This last fact is unpalatable and must be the focus of policy development and new ways of working. The recent figure of 30,000 daily truants added to the 20,000 who disengage from school prior to age 16 means that teachers can’t do their work with a large number who will never be touched by the curriculum – however good it is – or teachers – however superb they are. Sectors introduce gaps into our responsibility for students. Sectors introduce a careless approach for the management of student progress which has never been nor will ever be the lock step choreography of learning that we want it to be. Sectors mean that we lose touch with students as they move on. And no one is responsible in New Zealand for educational failure. What do we know about students that requires us to have sets of teachers that have different qualifications, different preparation, are represented by different professional bodies, paid on different pay scales and have no ongoing, meaningful and functional connection with each other? It is over to students and their families to manage this complexity. A review of sectors does not mean wholesale disruption. Sectors only grew by accident. There were originally only two sectors – school (and that meant primary) and whatever came next, with “Higher Education” being the only purely education group at this level. But a commitment to and achieving of universal primary education and then post-primary education and then (in theory) postsecondary education has seen sectors solidify like geological strata and they have become quite impermeable. Unless we address structural issues in our education systems we will continue to be frustrated by the evidence that dealing with everything else seems not to be effective. Re: Joyce – The Spend is Nigh! So why was the cabinet reshuffled and Steven Joyce given responsibility for Tertiary Education? Read much into the accompanying statement that the government saw the issues in tertiary education as being predominantly economic. As Minister of Transport, Steven Joyce is well used to looking at proposals for unblocking congestion, for getting traffic moving to its destinations and for seeing that the principle of spreading the money was leavened with a modicum of common sense. So, expect some action. It didn’t take long for the first shots to be fired by the new Minister of Tertiary Education, Steven Joyce. The recent announcement that the Government would take a look at students who fail their courses and their right to continue to draw down student loans was inevitable. The issue of what the sector calls “a cap on numbers” and what the Government sees as a “fixed-funding system” has always been about the difficulty of controlling the impact of expenditure that follows growth of student numbers caused by student loans. So the figure of 50% who fail to complete their qualifications is dragged out. And so it should be. What has changed since the early 1990’s is the growth of student contribution to tuition costs in that set of countries. This has in turn been matched out of the public purse by student loan schemes. The Minister’s desire to see “more money going into actually training EFTS” (NZ Herald, Saturday, 27/02/2010) has therefore to focus on taking out of the system students who are likely to fail or not complete their qualifications or on reducing access to student loans or a combination of both. So what can we expect? First, expect an attempt to introduce minimum level of performance that an individual student must meet in order to qualify for continued access to student loans. It is suggested that this could be 50% of attempted courses. On the face of it this might seem reasonable. Part-timers taking one paper or course would have to pass to continue with a loan. A full-time student taking six papers or courses would have to pass three. Wait, this doesn’t look like a very acceptable level of performance! And what of post-graduate qualifications that include papers and theses? Secondly, we are told (Sunday Star Times, Sunday, 28/02/2010) that there is an investigation as to what constitutes a reasonable “University Entrance” qualification. This challenges the notion not only of open access to university (for over 20-year olds) but also brings with it an inevitably increased likelihood of higher levels of selection by universities. Open access to higher education was introduced in the Group-of-Five in one form or another to allow returning soldiers to enter HE institutions after World War II. (In part this was driven by the need not to displace women who had joined the work-force in the absence of the male workers overseas.) But it became something much more than that; access to a college degree became the American Dream and Community Colleges were to be a major pathway to achieving the dream. In New Zealand, the development of the Polytechnics to some extent were also to play that role. So decisions which are ostensibly about the extent of open access to higher and further education and training are not simple decisions about tertiary education expenditure, they are also decisions about equitable access to the opportunities opened up by continued education. It could be that the solutions will be found in treating access to student loans by different groups of people differently. Perhaps universities will simply have to become more expensive for students who wish to enter only with a “University Entrance” and cheaper for those wishing to enter with say a first qualification from a polytechnic (this would replicate the community college / college “open entry” track in the USA). USA universities are generally much smaller than those in NZ (Stanford has only 15,000 students) but the really big ones are highly selective. (e.g. Berkeley receives close to 50,000 applications and enrolls just over 4,000 undergraduates. They also enroll just over 2,000 students from other colleges and universities. So they take only top students. But the four-year graduation rate is only 61%. Are too many students in universities? Or too many doing some courses? In the Group-of-Five, the overall completion level isn’t worth boasting about anywhere. Would it be good to start to ask why, rather than simply respond by attempting to control the costs? Would it be good to have a calm re-assessment of pathways into and through post-secondary qualifications? Would it be even better to rethink the relationship between universities and polytechnics and to have them working more closely together to meet the needs of the country and its population? Coordinated pathways could save both students and government. The current student loan schemes are a burden to everyone. Especially students. It is time for a major review, not minor tinkering.